Daily, 10:30 a.m. to 4:15 p.m. Founded in 1973 and located on Napa Valley’s famed Silverado Trail, Conn Creek is a boutique winery focused on crafting the highest quality Cabernet Sauvignon. Conn Creek‘s expertise is derived from its unique sourcing, as one of the only wineries to source Cabernet Sauvignon grapes from nearly all of the Napa Valley’s distinct sub-appellations. The sourcing acts as a spice rack for our flagship Anthology Cabernet Sauvignon. 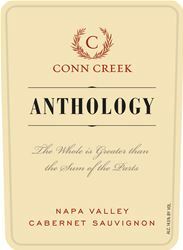 Conn Creek also produces, in very limited quantities, single appellation Cabernet Sauvignons as part of our AVA Series, choosing the standout appellations of each vintage. In the Napa Valley Series, an approachable Napa Cabernet Sauvignon, as well as limited limited-release Cabernet Franc, Chardonnay and Sauvignon Blanc round out the portfolio. Conn Creek has received international acclaim for our one-of-a-kind education intensive Barrel Blending Experience®. Guests are invited to taste Cabernet Sauvignon from the barrel from many of Napa Valley’s appellations, from Calistoga to Carneros, before becoming “winemaker for a day” and blending their own bottle to take home. The Barrel Blending Experience® is offered by appointment Thursdays-Tuesdays. Within the Napa Valley appellation, 14 regions have emerged that possess distinctive microclimates and terrains, imprinting recognizable characteristics on the grapes grown within them. These regions are identified as American Viticultural Areas. Conn Creek Winery's AVA Series tasting provides guests with the unique opportunity to compare, side by side, the differences these regions impart through 100% based Cabernet Sauvignon. Wine Education: Conn Creek Winery prides itself on providing a detailed education about our vineyard sources and winemaking techniques with every tasting experience. To join the wine club, visit www.conncreek.com or call 707-963-9100. Seasonal newsletters with winemaker tasting notes, food pairing recipes, and special pricing available only to club members. Two for One tasting at the tasting bar, 10% discount on wine purchases, 10% off Barrel Blending Experience® or Anthology Salon Tasting. Valid identification required. Not applicable for special events or large groups. Conn Creek Winery is certified under the Napa Green Winery Program by the Napa County Department of Environmental Management (DEM) and the Association of Bay Area Government’s (ABAG) Green Business Program and completed all the regulatory components needed for environmental sustainability. These components included developing water and energy conservation methods, preventing pollution, and reducing solid waste. In addition to developing sustainable winery practices, this program is set to become the standard for the state of California. Conn Creek Winery is certified under the Napa Green Certified Land Program. Conn Creek Winery has created and implemented a customized farm plan with measured results that addressed all aspects of its property, vineyard land as well as non-farmed land, including practicing soil conservation, water conservation, stable drainage, riparian corridor enhancement, fisheries and wildlife habitat enhancement and long-term improvement and sustainability.